Bike Rooms should be properly marked so that people park their bikes at the right place. Use our Bike Room Signs to direct bikers to the appropriate room and inform them to lock their bikes after parking. Bike room signs are a great way to keep your bike rooms and bike racks organized. 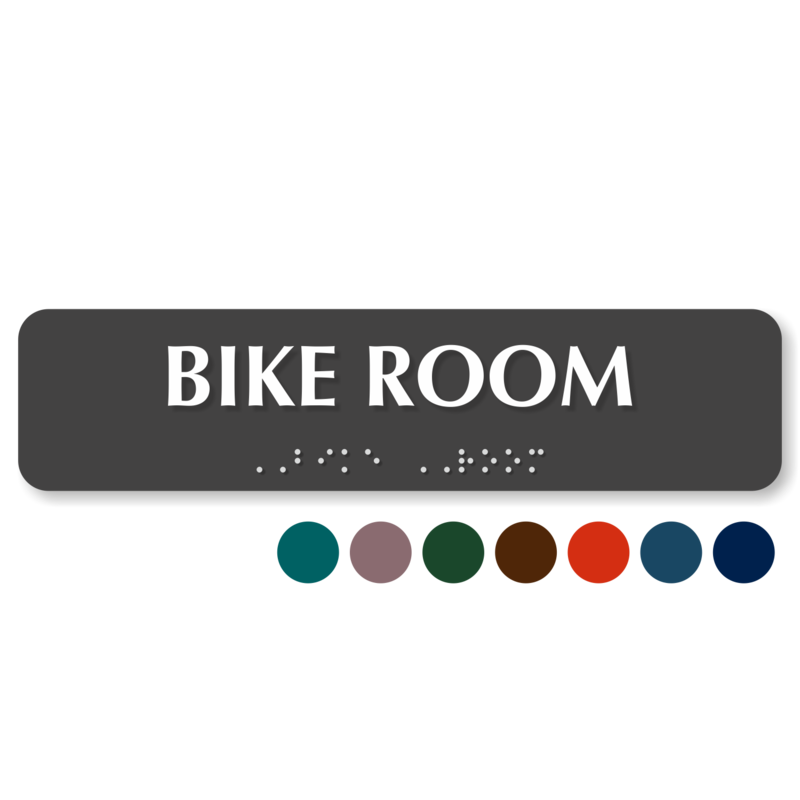 • Choose from professional TactileTouch signs, heavy-duty aluminum signs and affordable vinyl labels for bike room in your facility. • Signs are ideal for both indoor or outdoor application. • Easily install these signs onto flat surfaces, posts and fences. Create your own Custom Bicycle Signs and get your message across today! 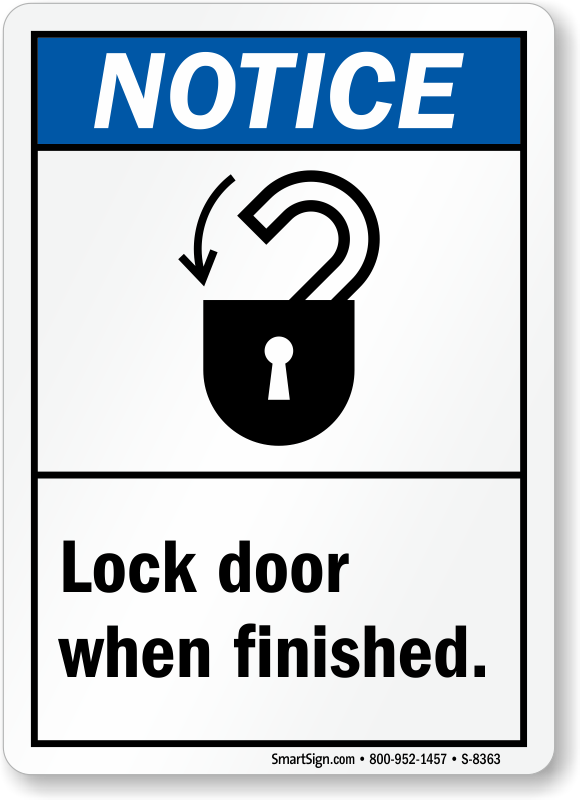 Notice: Lock Door When Finished.